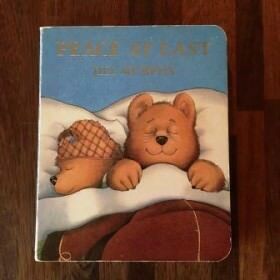 There’s a kids book called Peace at Last in which poor Daddy bear is trying to get a decent night’s sleep and everywhere he goes, there is something to keep him awake! In this particular story, the noise in the kitchen is the humming of the fridge, but it could just as easily have been a dripping tap, which would probably have been even more irritating! If you’ve got a dripping tap, you’ll know what I mean! It would be lovely to be able to say that the solution is simple or even that it won’t cost that much, but, like so many things these days, probably neither is the case. The solution used to be a washer that would cost just a very few pence, even recently less than 10p! However, a large number of modern taps no longer use the old style rubber washer. Instead they have two ceramic discs which combine to create a seal. Needless to say, these are quite expensive (I recently had to buy one for a tap in my own house and it cost over £50 – no wonder the tap manufacturers don’t use cheap washers!). And even more cleverly, the manufacturers have made sure that all the ceramic discs are different. Very nice for them, so they can charge extortionate prices for something that should cost almost nothing! Oh well, rant over, can’t change the world! If you have a ceramic disc tap, then either you or we will need to source the appropriate replacement part. It then needs to be fitted, which once again is more complicated that it ought to be and probably needs professional help. You may be lucky, though, and not have a disc style tap, in which case, yippee! things should be much easier and cheaper. One way of telling whether you have a disc style tap or not is to turn the tap head. If it only moves a quarter turn, then you probably have ceramic discs. If you get a full turn from the tap head, you probably have the old style taps with replaceable rubber washers. Fingers crossed!